When winter comes, the same always happens to me: I fall in love with the wonderful yarn balls ♥ I discovered in yarn stores, and I want to start knitting something. Last year I found lots of soft alpaca yarn skeins in nice colors, and I needed to buy them ☺ . How to resist..
And then I thought: "How should I use all these yarn balls now?". So I decided to knit some feminine Christmas gifts and make my friends happy. 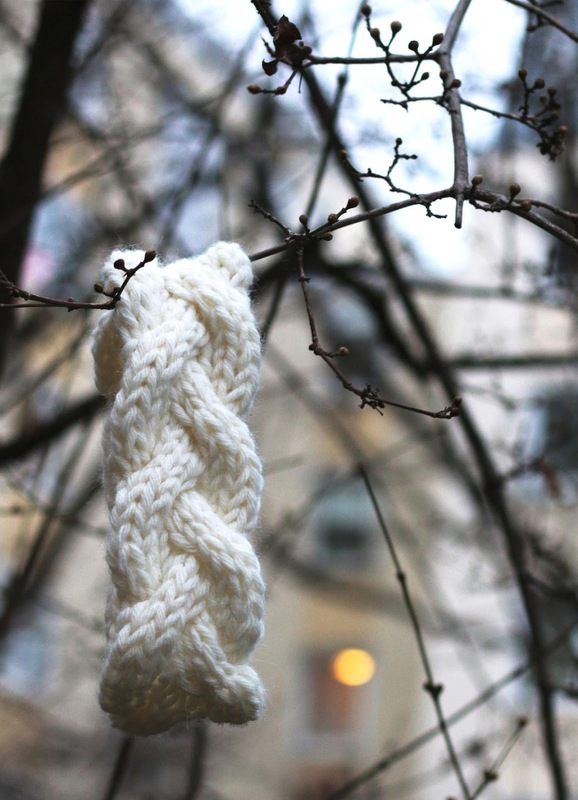 I had to choose what to knit: I started to search for easy, trendy and fast accessories projects over the network; indeed I used to be busy the all day, and I definitely could create only something quick and suitable for my newbie capabilities. Beside the patterns, I also needed the related video tutorials explaining how to knit the pieces, because I didn’t want to run the risk of not understanding the written instructions and then not finishing the gifts. 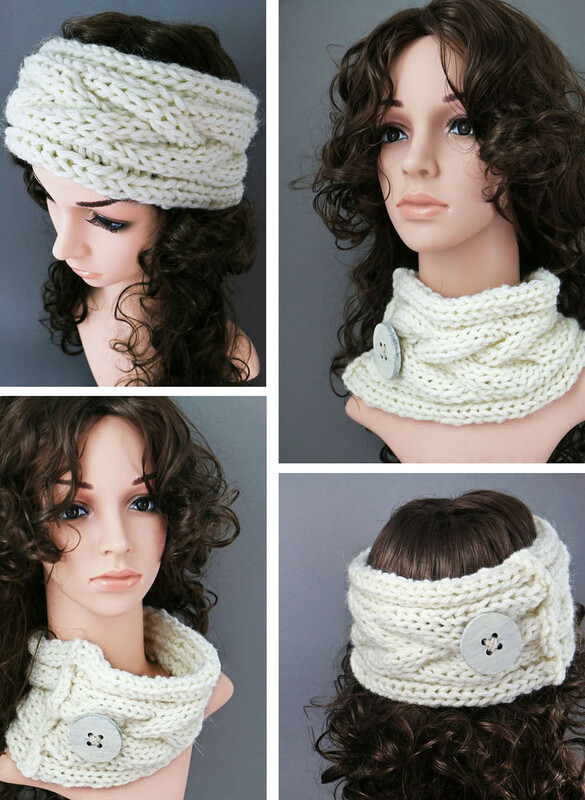 I found a nice video on youtube about how to knit these beautiful headbands shown here in my post. I really like them; indeed I think braids create a great 3d effect and make a knitted piece special. That tutorial is offered from Laurena Camarena. She was so kind and she also provided the related pdf pattern that you can find in her post. The picture below shows exactly the headband I was able to knit thanks to her instructions and help. It has a pretty look, hasn't it? I really recommend this project to knitting beginners because the video shows accurately what you should do and because it is possible to learn how to knit braids at the same time. If you are a knitting beginner, don’t be scared by the braids as I was. I remember that I looked at so many gorgeous sweaters, scarves and neckwarmers made with this technique and I always thought I had to gain more experience before learning it. False. And at the end, after having tried to knit this headband, I realized it was easier than what I expected. I was satisfied with my first attempt but I also wanted to proceed with a second one, shown in the first picture of this post, as I desired another headband appearing a little bit wider, with prominent edges. In this way I could be sure the ears were totally covered.. Moreover it could be worn as a cowl. That double usage ear/neck warmer was a genial idea, wasn’t it? By studying a little bit, I understood that I could achieve what I wanted by adding some rib stitches on the ear warmer edges. Therefore I slightly changed the original pattern. 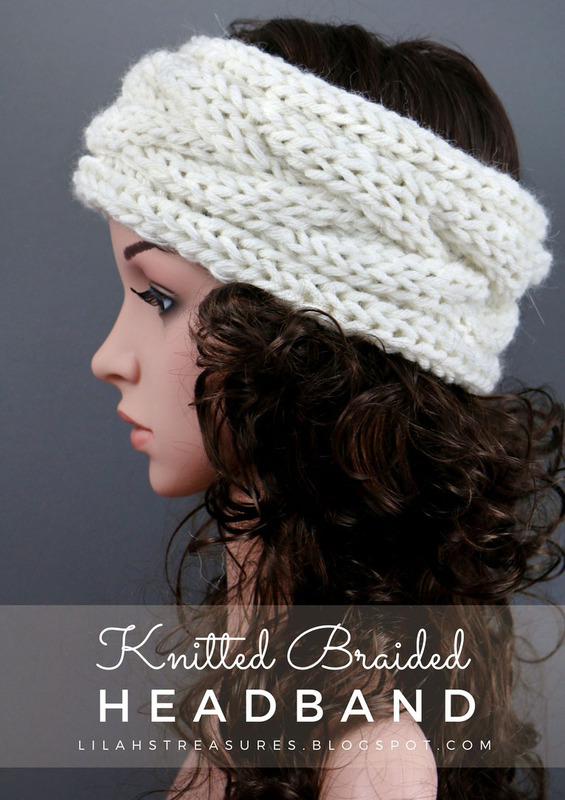 I would like to share with you those changes I made, so that you can also create a wider/cowl version of this cool knitted braided headband. Please, note that you should use a chunky yarn if you want to follow the instructions below. Every row will contain 17 stitches: 6 stitches for the rib edges and 11 stitches coming from the corresponding original pattern row. Repeat 7 times the 8 rows pattern shown below or repeat it till the headband length matches the circumference of your head. Then bind off. Where OP means "original headband pattern". Eg, first row: knit two stitches (K2), purl one (P1), then knit the following stitches according to the first row of the original pattern (1rs row of OP), purl one stitch (P1) and knit two (K2). I preferred a visible seaming for my wider headband version because I wanted to add a large button, as a decoration. Therefore I overlapped a bit the two ends of the ear warmer and sewed them together with a similar color thread. Finally I sewed the button. I hope you’ll have fun by knitting these braided headbands ☺. I’m not so experienced in writing knitting patterns, hopefully my wider version headband instructions are understandable. Please, leave your feedback so that I know you liked the project and what to improve. And most important: write a comment and tell me where I can find your braided headbands! Wow!You seem to have a lot of experience! You are really good at your thing. La scelta di coprire le orecchie è ottima, così tieni le orecchie al calduccio e anche in un posto confort ed elegante. A proposito, sei stata dettagliata e accurata nella spiegazione del procedimento per realizzare le fasce, esauriente proprio! Io purtroppo non ho pazienza nel cimentarmi con queste cose, peferisco seguire te e stupirmi di tutti i bellissimi lavori che porti a termine con le più disparate tecniche. Dai che prima o poi ti convincerò a iniziare con la maglia 😁😁. Scherzi a parte, grazie sempre per il tuo sostegno! L'arte di queste cose stupende meglio lasciarla a te. Grazie per tutti questi complimenti! Anche io ho adorato il colore di questa fascia, perfetto per portare luce durante il freddo inverno!